In his lecture, Begbie will question why the arts matter so much to people of religious faith. Many assume that the arts are chiefly concerned with pulling a person out of this world’s space and time and into a completely different, somehow superior world. The assumption is that the arts allow a person to escape this world, and it is that “escapism” that appeals to people of faith. Begbie will challenge this view by arguing that the arts are crucial to faith, especially Judeo-Christian faith, because the arts immerse believers tangibly in this world. He believes that the arts connect people in a way that is bodily rooted, emotionally engaged, and socially uniting. And, as such, the arts can remind people that there is always more to this world than their mortal minds can ever grasp, and that this world can (and will) be re-made. Begbie has published extensively on the topic of the interplay between music and theology. 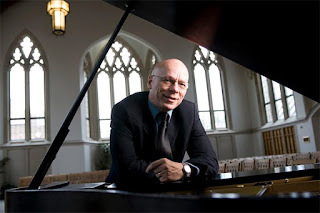 His books include Theology, Music and Time, and Resounding Truth: Christian Wisdom in the World of Music. Whitworth extends special thanks to the Staley Lecture Fund, which provided generous support to bring Begbie to campus, and to Whitworth’s Weyerhaeuser Center and the Office of Church Engagement for sponsoring this event. Debbie Stierwalt, program assistant, theology department, Whitworth University, (509) 777-3391 or dstierwalt@whitworth.edu.